Vinyl Bag measures 17"L x 12"W x 4"D. Features four mounting holes with brass grommets and hook-and-loop closure. 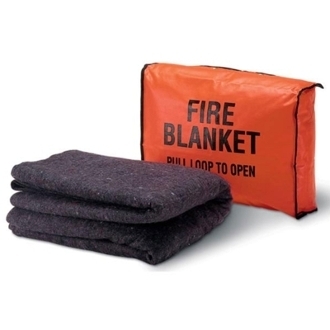 Wool Blanket measures 80"L x 62"W and is treated with DuPONT® X-12 for fire retardancy. Fire Blanket sold separately.